As I mentioned in my last post, there's a second Bare Burger location opening up in our neighborhood, on the corner of 23rd Avenue and 31st Street. 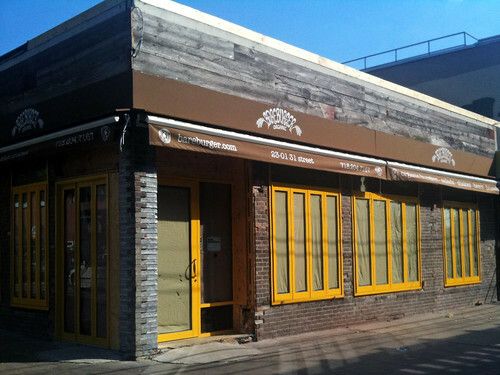 We Heart Astoria has also posted about this new Bare Burger - no word yet on when it will officially open. It will be nice to have such delicious veggie burgers closer to my apartment, although given that 31st Street is right under the elevated train tracks I doubt the outdoor seating (if they offer any) at this spot will be as pleasant as the outdoor seating on 31st Avenue.